Celebrate the arrival of spring with Morimoto Asia’s month-long Sakura Festival, which begins tomorrow, March 15. The festival celebrates the beginning of spring and the blooming of the cherry blossoms, just like the traditional Sakura festivals of Japan. The restaurant will be decorated with beautiful décor, displaying the pink blooms of the Sakura. 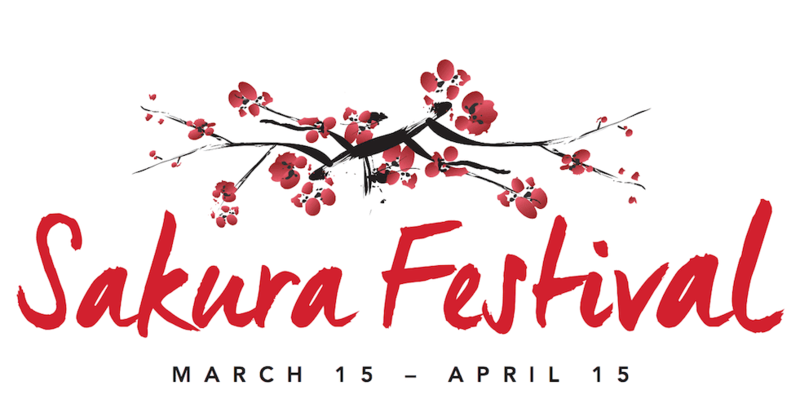 The festival will feature a variety of ticketed events and menu specials dedicated to the cherry blossoms. Crooked Can Happy Hour – Thursday, March 15, 5-7 p.m.
Late Night Suntory Pairing – Friday, March 23, 9-11 p.m.
Seas of Japan 101 – Friday, March 30, 4-6 p.m.
Morimoto Asia’s Guest Chef Series – Tuesday, April 3, 7-9 p.m.
Executive Chef Yuhi Fujinaga and Chef de Cuisine Hung Huynh will welcome Chef Hitoshi Sugiura to kick off Morimoto Asia’s Guest Chef Series. The chefs will prepare a six-course Pan-Asian dinner together, paired with wines from around the world. Ramen Seminar and Tasting – Saturday, April 7, 12-3 p.m. UPDATE: The date has been changed to Sunday, April 8, 12-3 p.m.
Matsuri Festival – Sunday, April 15, 12-4 p.m. The festival comes to a close with a family fun day inspired by the traditional Matsuri festival of Japan. Guests can sample multiple Pan-Asian street food stations, and four beer and cocktail stations throughout the inside and outside of the restaurant. For more information on the Sakura Festival, menu details and to purchase tickets, visit PatinaGroup.com/Morimoto-Asia.